I love fall. And I especially love anything pumpkin flavored this time of year. 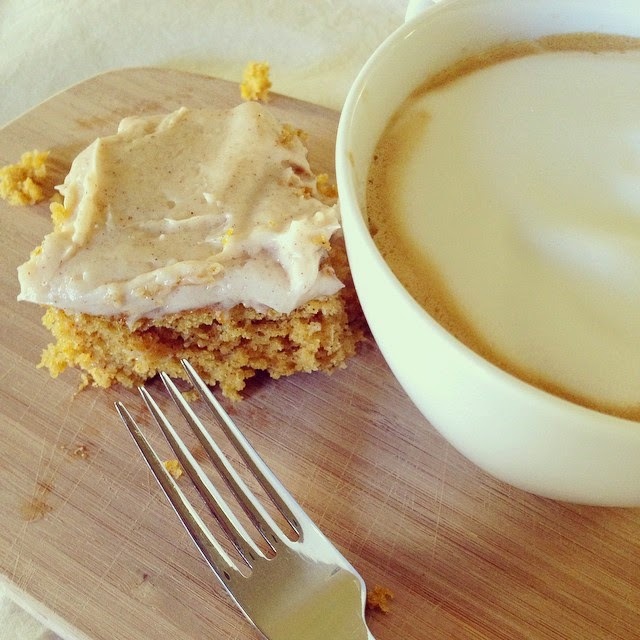 I recently whipped up my favorite pumpkin bars with cinnamon cream cheese frosting and it made me realize that I've made quite a few pumpkin recipes over the last couple of years. Allow my to walk down memory lane and perhaps inspire a recipe or two for you this season! You can find more pumpkin and other squash-inspired recipes under my recipe tab on the right! I love pumpkin recipes too. I just made a pumpkin cheesecake yesterday - so good!! I love anything pumpkin, I'm so excited about trying new recipes this Fall! These all look so delish! I'm going to have to try those bars! It really feels like Fall when there is something yummy and pumpkiny (not sure if that is a word) baking in the oven! I made your pumpkin bars last year and they were so good and a huge hit with my family. I can't wait to bake them again and that granola looks delicious. Ah I love pumpkin everything! That granola looks so good! YUM! I love all things pumpkin! Featured Shop: Sugar Bit + Giveaway! Baby Doll for a Boy? Halloween Costume Link Up Party! Road Trip to So Cal...with a Toddler!